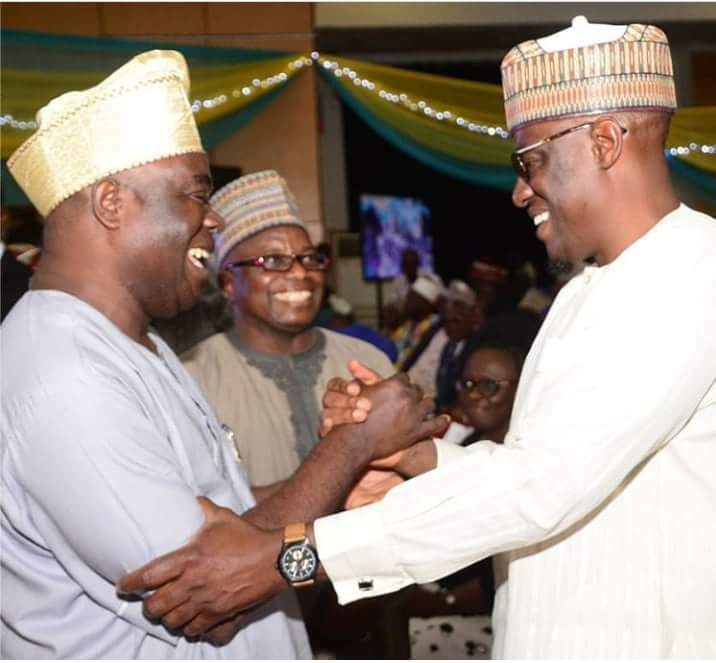 The Peoples Democratic Party PDP Kwara chapter chairman, Chief Iyiola Akogun Oyedepo exchanging pleasantries with Governor Abdulfatah Ahmed at the presentation and launching of a book in commeration of Kwara 50th anniversary. The event held today 24th of April 2019 at The banquet hall, Ilorin. This shows that truly in politics there are no permanent enemies, and no permanent friends, only permanent interests.